bvTechCon - Production Consulting | Technical Consulting for precision optics and optical thin film coating production. Bram Vingerling studied mechanical engineering / manufacturing technology at the TH in The Hague and Rotterdam, Netherlands. 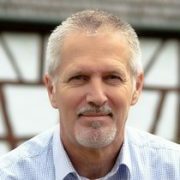 He joined the precision optics industry in 1981, working in Germany since 1986 for production optimization of optical fiber faceplates, AVG’s (Anti Veiling Glare Windows) and transfer of a replica mirror production dep. Since 1988 working with thin films for precision optics…and still fascinated!